Miracles, answered prayers, cases of divine interventionthey happen every daystrengthening our faith, giving us hope, and proving that good things do happen to good people! Miracles are all around uswe just have to look to see them. These powerful stories will deepen your faith and give you hope that good things do happen to good people. From guardian angels to divine messengers, from miraculous healing to messages from heaven, from mysterious dreams that come true to divine coincidence, youll be in awe as you read these 101 stories of true wonder and inspiration. These stories are written by real peopleordinary people who have had extraordinary experienceswho are just as surprised that these things happened to them as we are to read about them. 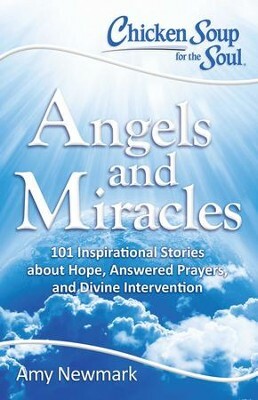 I'm the author/artist and I want to review Chicken Soup for the Soul: Angels and Miracles: 101 Inspirational Stories about Hope, Answered Prayers, and Divine Intervention - eBook.